I love the title of this blog. Just thought I would tell you that first. I'm going to have to look up this Roblox game. This sounds like something interesting and different for me to try. Ha! Thanks, It took me a while to think of a blog title. like befor I made this one, I tried writing like 7 others.. they just didn't seem like me. Lol. You should check out Roblox, it's pretty cool. Some of the games people make are just thrown together, but others are really spectacular, they put a lot of work in their worlds. That sounds like something I can get addicted to doing. I think that will be a project for tomorrow. It is something that you can have a lot of fun with. I'm writing in my Travel bLog now. I have lots of catching up to do. Good luck to you, Shawn. You guys wanna know what's not fun? Being allergic to latex. Lol. I've been treating an open sore with some neosporin and band-aids... ok, I can't keep the band-aids on for long, they start to itch. Sometimes the area itches for hours after the band-aid is gone, even if I wash it. The last time I left a band-aid on for a long time, my skin started to burn, so I pulled it off, and had a band-aid shaped burn/rash on my stomach for a week. So my friend seems happier today, I guess her ex-fiancee finally cleared out. Good riddance, now she can start to heal. I've been hitting the green tea heavily lately, it is really good. We get Arizona brand. It's Green tea with Ginseng and Honey. I'm not a sweet tea drinker, because people like to put a thousand pounds of sugar in it, and it makes it to sweet for me... but this sweetness from the honey, is just right. Not over powering at all. We are going up to visit my family the week after this week, I'm thinking I might stop at my brothers grave to say "Hey" to him and Grandpa (they are buried next to each other) Gotta visit Grandma, she's gonna be 89 next month, and she is still running around lol. For her 90th birthday, we are gonna have a big birthday party for her, and she is going to dance on the table. We will get her up there lol. I am very chatty right now.. probably because I am tired and have to go to bed... I get very chatty when I am tired... sometimes Mr. has to hear me babble until one of us falls asleep. It's like 3:48 in the morning. It IS 3:48 in the morning. If your wound needs to be kept clean and water free I recommend OpSite Flexifix ... it's basically what surgeons use to close off sterilized wounds. Oh and before you ask yes I do a lot of stoopid thangs AND I sometimes play medic for a group of peoplez into doing stoopid thangs a couple of which also have latex allergies. 3M™ Tegaderm™ is latex free, and it's what the Urgent Care doctor suggested to me as regular bandaids were giving me a rash. Yup Tagederm is good stuff there are actually a bunch of them and they are all semipermeable polyurethane dressings made to be as hypoallergenic as possible I go with OpSite 'cuz I got the 4 inch by 11 YARDS roll for under $20 delivered and that Nexcare/Tagederm is too freaken expensive ... though yes it is nice to have an easy open, peel and place thang. i might as well use duct-tape and gauze lol. Medical tape doesn't stick to me for some reason. If it does, it's only for an hour or so. Our Dryer died.. so Mr. is going out to buy a new one... the old one we've had forever... so it is time lol. Mr. also killed a centipede. I have a dentist appointment in the morning... gotta get a tooth refilled. the filling started breaking down a while ago, so it's time. Lol, my friend owed me some fundraiser stuff from her daughters school, and I have been asking her for weeks to hurry up and send my stuff, cause it's like chocolate and other things that are perishable. So I told her last week not to send it until I get back from vacation, so it won't be sitting either outside, or at a warehouse. Because you know.... Kids, thieves, rodents, and ants.. So I will be up there visiting soon, an I told her this, and she is like "I just sent your stuff out this morning." and I am like because it is very evident that she didn't listen to me when I said I will not be home this week... So now I have been asking for the tracking number, so I know whether I should ask the neighbors to hold onto it for me, or if it's going to come befor I leave. And she keeps telling me she'll get it for me, but she hasn't. Her ex-fiancee is still living there until their joint bills are payed off.. she is doing everything she can to avoid him while at home. He is doing everything in his power to make things unpleasant. He keeps starting fights and stuff. His whole personality has done a 360, he is definitely dr. Jekyll and mr. hyde-ing it. she is at the point where she doesn't care if he helps pay off the bills, he is scaring her kid with his aggression, and really needs to leave. And he should be the one to leave, because everything in that house is hers, the only things he owns are his clothes, his car, and his x-box. All the furniture, appliances, and other household things belong to her. Blah, I am so glad Mr. and I have a good relationship. If I had to live in a hostile environment everyday, I would just leave. I've done it befor. I am a sweet and loving person (you all know that lol) but I am no push-over, I don't put up with stupid crap. 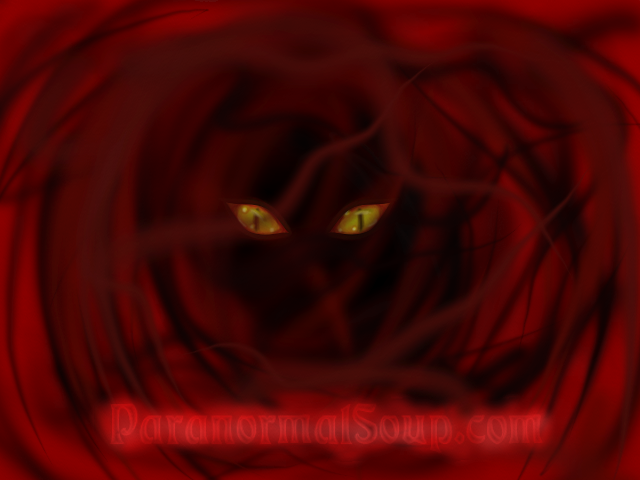 Lol, I am babbling again, I must be bored or something. Carp? lol I don't want Carp, they make sucky noises. 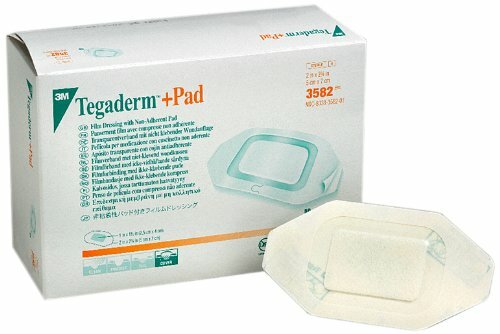 They have one that won't: Tegaderm™ +Pad Film Dressing with Non-Adherent Pad. You can get the Dressing size 2-inch x 2-3/4 inch (5cm x 7cm) with a Pad size 1-inch x 1-1/2 inch on Amazon.com one 50 count box at $24.99. Or four boxes of 50 count each for $89.46. I think people should accept that "commitment" really has only one meaning and that the committed person or party is crazy. Lol, drop sites... I can picture a helicopter flying in to drop off someones dvd sets. You guys, I saw the most amazing bird today lol.... ok, this bird was sitting on top of the dentist office.. and it was making car alarm noises, it was hilarious, it went through the whole set of sounds, it even did the "woop-oop" of the alarm being shut off. I also saw a piggy. And a turtle. And someone run over another turtle. And a pigeon judging people as they got off the exit ramp. Did the bird look like a Northern Mockingbird (Mimus polyglottos)? Lol. It probably was, it totally makes sense. Silly bird... but I guess there are worse noises they could copy. Made it home safe and sound... lol. I was on vacation.. incase nobody noticed that it was a bit less... silly around here. So we started our long trip to Ohio. People are idiots on the road, they kept cutting off semi-trucks, and swerving, and crud. I have never hated people more in my life. (well that's a lie lol) So we get to Ohio, and sleep the next day away, got stuck on the Science channel, it was pretty cool. We then went to my grandma's house and had dinner with her, my dad, and some other relatives. We stayed there till midnight, we had a lot to talk about I guess. Grandma is going to be 89 next month. If she makes it to 90, she wants a big fancy party. I'm rooting for her lol. After dinner, we met up with another friend of mine, and we sat around a drive in and drank milk shakes for awhile. We started home yesterday and stopped half way, I wasn't feeling well enough to be in the car for long periods of time. I slept like a rock last night, the bed was comfy, I almost brought it home with me. And we got home a few hours ago, Mr. went and brought our dog home from the doggy hotel. He is not happy with us... he got vetted and shaved yesterday lol. he is tiny now. Things I learned.. Grandma is losing her mind, she thinks it's 1994. I just turn 30, and she kept saying "Back in 1964" when we were talking about my childhood. The racoon in the storm drain, had babies in there, and they all live in it. Nobody wants the chandelier in my grandma's house. Children are loud. And spontaneous.